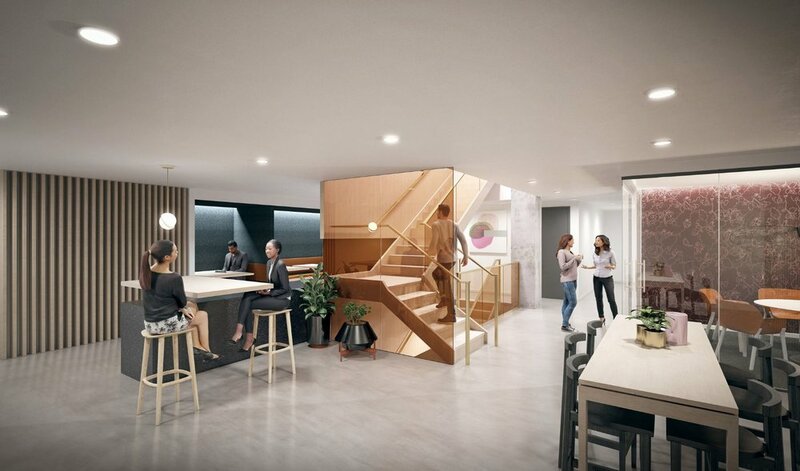 This client, a co-working facility marketed to professional services entrepreneurs, creates connections. In the design of their Wall Street space, the team celebrates literal and figurative connections of all kinds. The ceremonial stair connects three floors, the wood and glass cladding of the stair slides between floors, and spaces adjacent to the stair create moments for serendipitous connections between people.